Wear it on a summer hike in the mountains when you need a lightweight jacket with UV protection or in cooler, rainy weather as a warm mid layer under your hardshell. 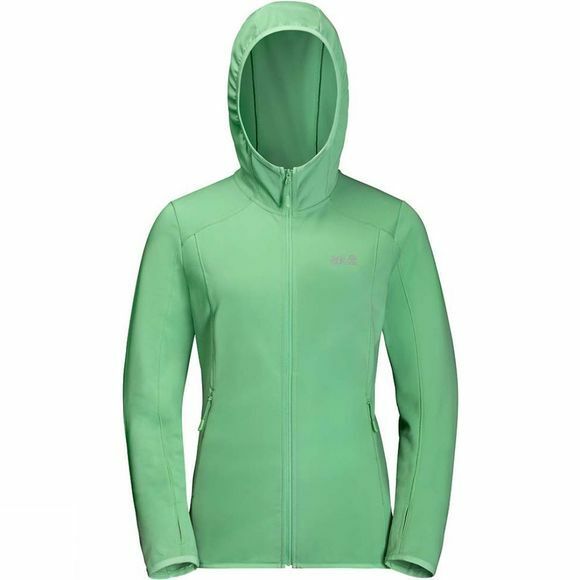 The Womens Hydropore Hooded Jacket from Jack Wolfskin is a versatile jacket for ambitious trips–from hiking in the mountains to trail running. The secret lies in the fabric. The fabric scores top marks for its exceptional moisture management because the fine yarn loops dry super fast. It also protects you from UV rays and has odour-inhibiting properties.